“Why don’t you ever write about my collection?” Sometimes, it’s because it is not often seen in an average show or sale. 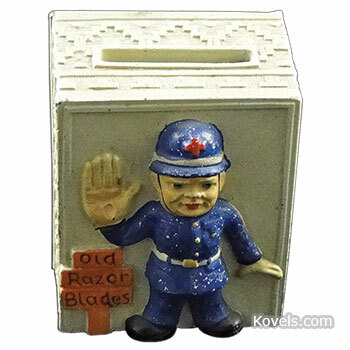 So, when father and son collectors Jack and Jeff Hayes showed us what they collect, we decided to see if others might be interested in razor blade banks. 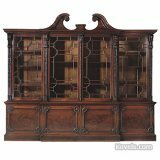 Thomas C. Molesworth made fewer than 10,000 pieces of furniture, each with a handmade appearance. 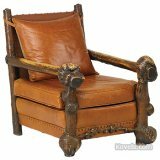 This 1923 burlwood-and-leather armchair has Western flair and a one-of-a-kind appearance. Mosey on over to the article for more photos and prices. This Rombic vase by Reuben Haley was one of the stars of a recent auction featuring Muncie Art Pottery. 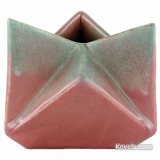 The company made colorfully glazed candlesticks, ashtrays, planters and more from 1919 to 1939. Both geometric and organic-shaped pieces earned strong bids. Go to the article for the price and more pictures. Scientific instruments attract buyers interested in history, nostalgia or conversation pieces. Many of the tools and devices still work, but have been eclipsed by more modern, easier-to-use technology. 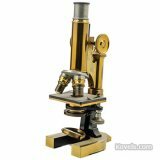 This brass binocular microscope from the 1800s came with a fitted case. Investigate more prices and pictures. Shirley Temple dolls were a hit when they came out in the 1930s and they are still popular today. Ideal-branded dolls, like this fully jointed Shirley in a turquoise coat with original tags, capture the highest bids. Accessories sell, too. Dance over for prices and more pictures. The interest in Japanese baskets is growing. They are intricately woven into graceful shapes using distinctive techniques and are often sold with custom-made boxes. 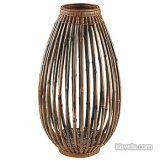 This basket is made from bamboo and rattan. See the top lot and other high-priced baskets. Thomas Chippendale (1718–1779) designed and made furniture that even now, 300 years after his birth in England, evokes images of classic elegance fit for kings, queens, noblemen and centuries of collectors. 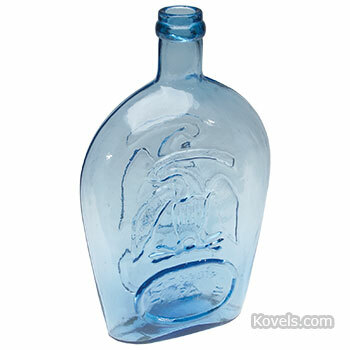 Decorative glass flasks from the 19th century were great for whiskey and now draw collectors with their embossed historical figures and patriotic decorations. A recent auction included this c.1860 cornflower blue historical flask. See more colorful collectible flasks and their prices. Early tools, made from the Roman period to the 19th century, drew special interest at an auction in Massachusetts, where this 19th century French sickle sold. 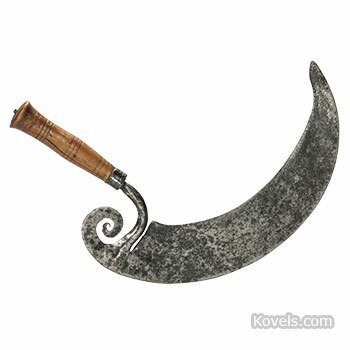 See prices and photos of implements that offer a glimpse into early civilization. 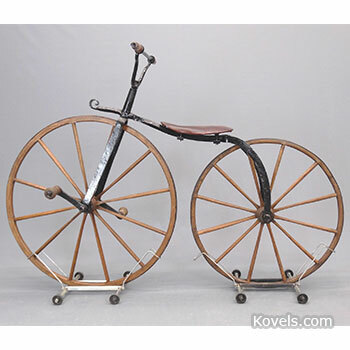 Some of the earliest bicycles – including some that will shake your bones! – were big sellers in a recent New York auction. This c.1887 “ordinary” bicycle sold or more than an ordinary price. Pedal on over to get the details.